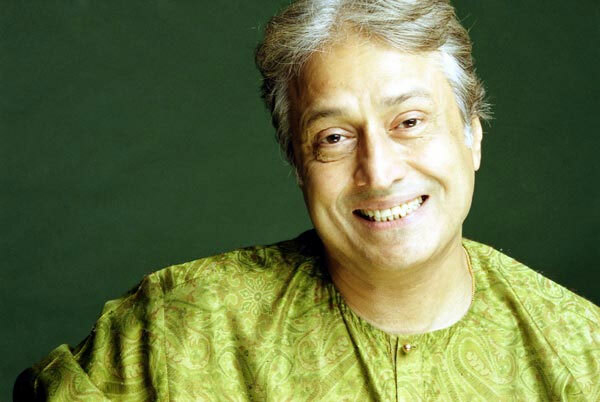 He was all of 6 years old when Amjad Ali Khan gave his first recital of Sarod. It was the beginning of yet another glorious chapter in the history of Indian classical music. Taught by his father Haafiz Ali Khan Amjad Ali Khan was born to the illustrious Bangash lineage rooted in the Senia Bangash School of music. Today he shoulders the sixth generation of inheritance in this legendary lineage.After his debut, the career graph of this musical legend took the speed of light, and on its way the Indian classical music scene was witness to regular and scintillating bursts of Raga supernovas. Thus, the world saw the Sarod being given a new and yet timeless interpretation by Amjad Ali Khan. Khan is one of the few maestros who consider his audience to be the soul of his motivation. As he once said, "There is no essential difference between classical and popular music. Music is music. I want to communicate with the listener who finds Indian classical music remote." In the matter of awards, Amjad Ali Khan has the privilege of winning the kind of honours and citations at his relatively young age, which, for many other artistes would have taken a lifetime. He is a recipient of the UNESCO Award, Padma Vibhushan (Highest Indian civilian award), Unicef's National Ambassadorship, The Crystal Award by the World Economic Forum and Hon'ry Doctorates from the Universities of York in 1997, England, Delhi University in 1998, Rabindra Bharati University in 2007, Kolkata and the Vishva Bharti (Deshikottam) in Shantiniketan in 2001. He has represented India in the first World Arts Summit in Venice in 1991, received Hon'ry Citizenship to the States of Texas (1997), Massachusetts (1984), Tennessee (1997), the city of Atlanta, Georgia (2002), Albuquerque, NM (2007)and the Key of the City of Tulsa, Oklahoma and Fort Lauderdale, Miami. April 20th, 1984 was cleared as Amjad Ali Khan Day in Boston, Massachusetts. In 1995, Mr. Khan awarded the Gandhi UNESCO Medal in Paris for his composition Bapukauns. In 2003,the maestro received “Commander of the Order of Arts and letters” by the French Government and the Fukuoka Cultural grand prize in Japan in 2004.